Here's one for you, what would an indie rock band sound like if they wrote songs as if they were pirates roaming the high seas? Well you need not ponder any longer as Pirate Jenny are indeed a band of salty seadogs belting out the best in pirate-themed rock music (there's a sentence one doesn't get to type too often). Apparently 'pirate rock' is an actual thing, which is news to me, and it sounds a bit like ska and indie rock music themed around, well, pirates and life at sea. I would have thought such a silly gimmick would probably involve some terrible music. I was be wrong. These guys take the music seriously, with 11 well crafted and extremely catchy tunes of the pirate life. A lot of it appears to be typical four piece at first listen – 2 guitars, drums and bass, but the extra instruments the band affords themselves (like an accordion, steel drum, xylophone[?! ], electric organ, piano) really do give things a cartoonishly accurate sound, conjuring up eye patches, be-parroted shoulders, steins full of grog and life on tall ships albeit one that's more Spongebob colourful than it is bouts of scurvy and 15th/16th century sea crime. There's even a couple contemplative songs that explore the toll life at sea can take on ones psyche (“Overboard”) to uh.. ground the proceedings. Pirate life isn't all swashbuckling and wenches after all. “Postmodern Pirates” could almost pass for Devo-eqsue, with a pirate reflecting on the pirates place in the world. Honestly, I may have called the pirate thing silly earlier, but these guys are so obviously aware of that, diving in headlong anyway. So even if you have a big smirk on your face at the lyrics (final track “All Ships Rock” for instance, which takes a peg-legged cue from Queen style rock ballads) because you cannot take them seriously, you'll still enjoy yourself. Definite guilty pleasure material folks. 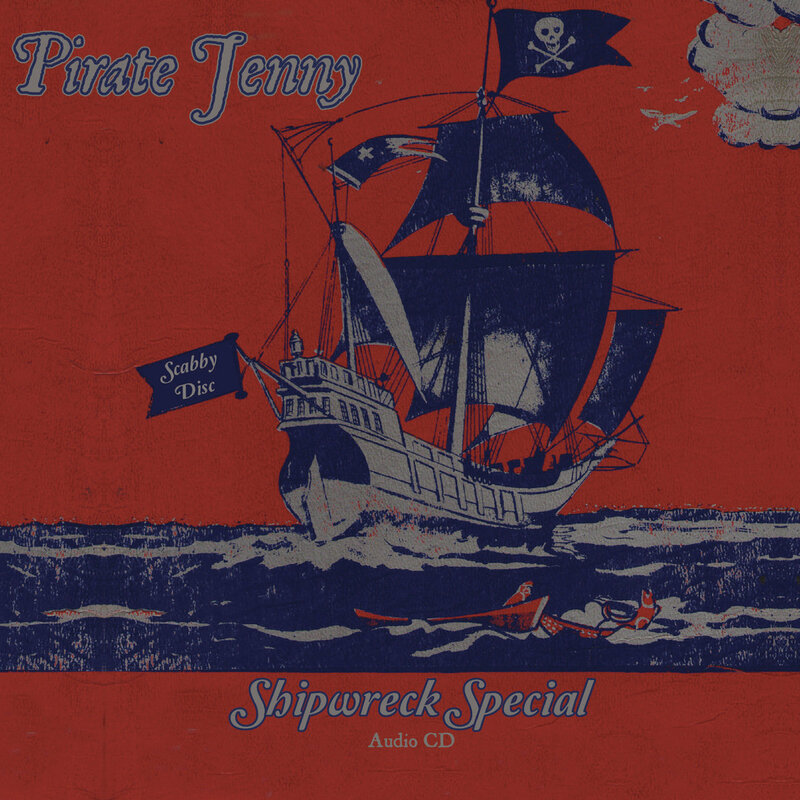 Shipwreck may be Pirate Jenny's first full release in over a decade, but it doesn't sound like a cash-in with no soul that a lot of bands choose to do after so long. I guess it's hard for a pirate to phone it in... Give it a listen yee landlubber or be forced to walk the plank. Oh, My! - 2013 - This Be Weird E.P.